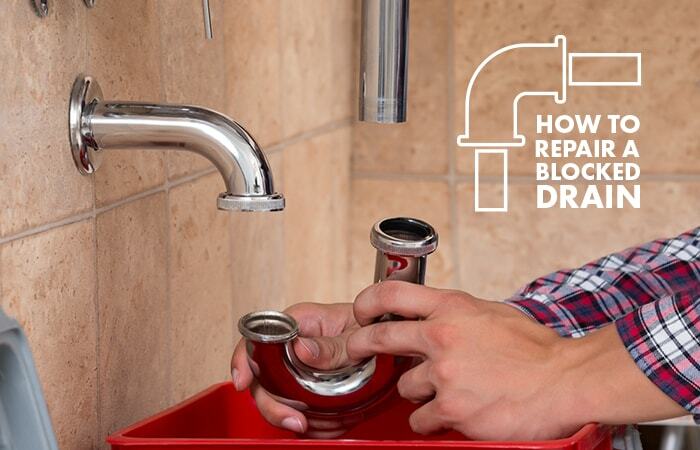 Are you experiencing a blocked drain in your bathroom, kitchen or laundry? If so, we at STO Property Maintenance Group will show you how to solve the problem in our easy to read and cost-effective guide to unblocking drains. There are many explanations for a blocked drain, from built up hair, to encroaching tree roots. STO Property Maintenance Group have devised the top tips to diagnose and solve your blocked plumbing issues quickly and easily; and If you cannot solve the issue yourself, we are always ready to help. The first step you can try is to simply use boiling water and dish washing liquid. Pour boiling hot water and dishwashing liquid straight from the kettle into the affected drain. Depending on the cause of the blockage, this should dislodge it and allow the water to flow freely again. This method would be most effective on less serious blockages such as soap scum and grime build up. If boiling water and detergent fails, try using a coat hanger. Again, this method will depend on the type of blockage you are experiencing, but it is particularly good for excess hair build up. Bend the hanger into a single pointed hook and thread it into the drain, ensuring you don’t push any material further down into the drain. This should hook any built up hair in the drain, and will allow you to pull it out and clear the blockage. Next, you could try using a plunger. Plungers are more effective for toilet blockages, but are worth a try. Suction the plunger onto the drain and pump it to disrupt the pressure in the drain pipe which may shift the blockage enough to be successful in dislodging any materials built up in the drain. Our fourth recommendation is to mix up 1/3 of cup of bicarb soda with 1/3 of a cup of vinegar and a litre of boiling water. Pour this mixture down the problem drain. This method is environmentally friendly and should effectively dislodge any built-up material, such as soap scum and grime in the drain. For this option, you will require a plumber’s wrench and a bucket. Place an empty bucket under the affected u-shaped drain pipe to collect any excess water spillage from the drain (note that this is only possible if there is sufficient space under the pipe and the floor). Use the wrench to loosen the pipe at either end of the u-shaped bend. Remove the u-shaped section of pipe and empty the contents into the bucket. You can then clean the pipe with a toothbrush or other implement. This method would be suitable for sink pipes that are clogged with kitchen or bathroom grime and hair. Lastly, if you cannot resolve your drain blockage after trying all of the above simple steps, it means you may have a more complicated issue. This may require expert, professional diagnosis and treatment. Call us at STO Property maintenance group today for expert advice or a professional assessment of your plumbing issues. STO property maintenance group can solve any plumbing issue. STO Property Maintenance Group services the Gold coast, Sunshine Coast and Brisbane. Call us today!